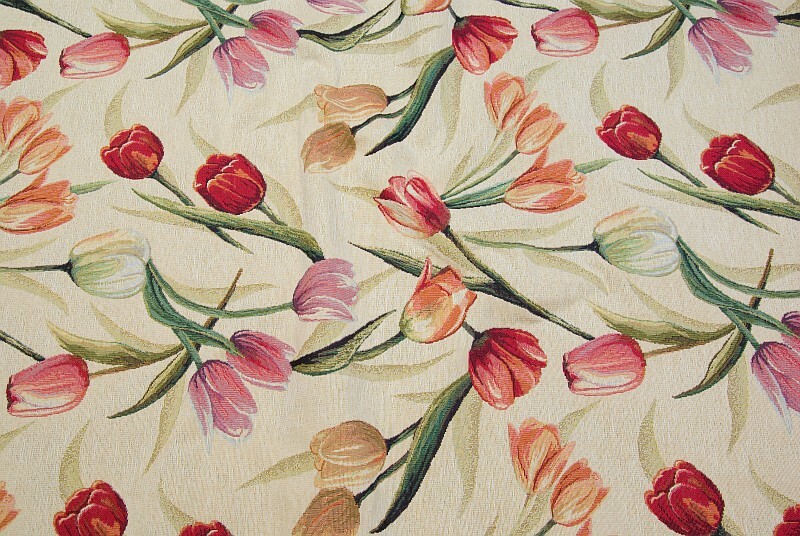 Classic and modern design combinedon this fabric.The tulips are ca. 20-30 cm. long.30% polyester, 58% cotton, 10% acryllix.